Magnus is the first truly decentralized network of intelligent A.I. agents, Robots, Sensors, hardware and humans creating a global market for knowledge, skills and processing power. Magnus has also created to define the universe of Robotics and AI automation for investors and organisations. Magnus is also the World’s first Dual Token Robotics and A.I. 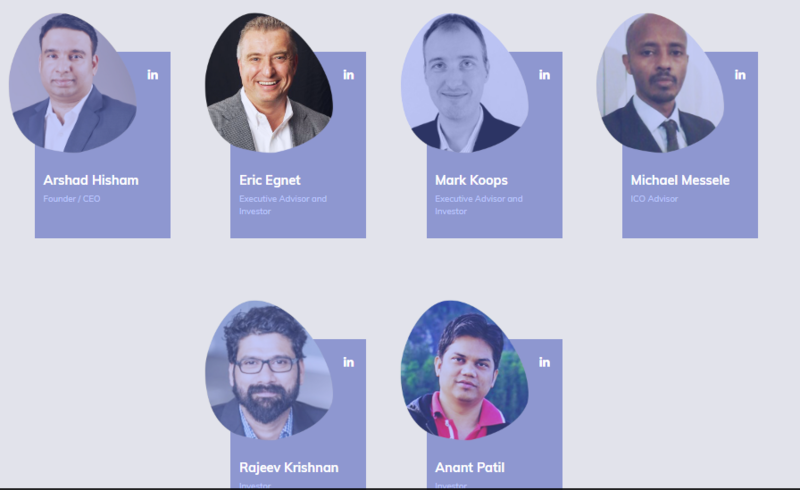 Magnus goal is to make people smarter, machines better, Robots cheaper and faster, and, AI better by ensuring a collaboration with other agents in the Magnus Collective network. In addition Magnus will have its own independent agent bots called “Sentry Bots” which will ensure that rogue agents are out of the Magnus network. Sentry Bots will use a whitelist and blacklist to maintain reputation and effciency in the Magnus network. Magnus will be able to negotiate and transact with other block chain or non-block chain based network that will come in the future using gateways called Portals. Portals will ensure that even if Magnus does not obtain leadership in terms of the network — Magnus will never become obsolete or outdated . Portals will translate the negotiation and requests between different networks and open up Magnus to all the external. 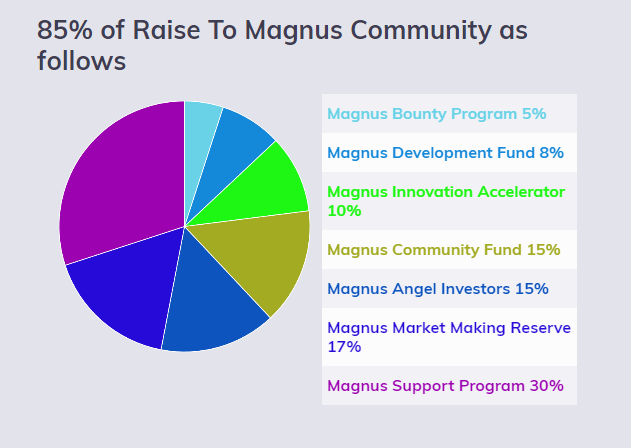 Magnus is a hybrid token — it has both utility and usage. 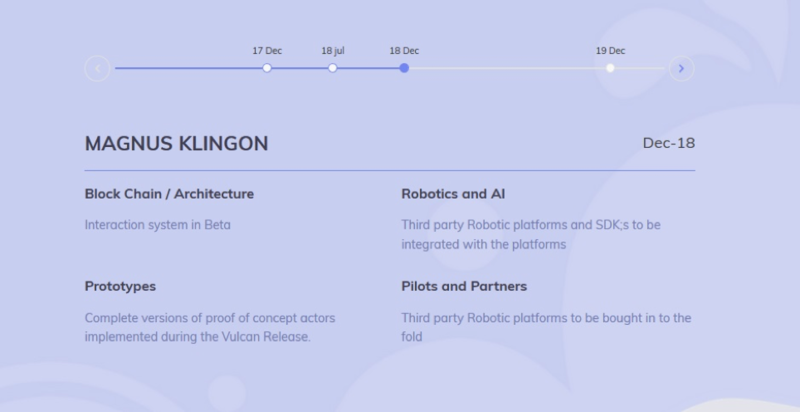 In addition the Magnus token would be tradable for 2 year lease of popular robotic platforms. We would be getting more companies into the collective as the collective grows. MGS could be used to lease any Robotic platforms on the collective and user for buying and deploying skills on collective. MGS is use to contibute to Crytocurrency ecosystem. Attractive Bonus up to 60% during ICO. Staking-Use your tokens for staking to receive transaction from the Collective. The remaining unsold Magnus from the token pool will be burnt. MGS could be always convertible to lease of physical robotic platform at anytime commitments from parnert companies already underway. Existing business and Experienced team with widespread industry coverage,parnetship, press and media coverage. Robotic Systems: These may involve either individual Robotic systems working in isolation or a swarm of Robotics with a common goal ( A sub-collective ). IOT Hubs: IOT hubs include Sensor arrays or other IOT devices that can communicate with the Magnus Collective. AI Collectives: AI collectives involve either a standalone AI agent or a sub-collective of AI actors working towards a common goal. Human Actors: Human Actors play a central role in the Magnus collective — They can either work in groups or as individuals. Distributed File Systems: Distributed fle systems are how information is stored on the Magnus collective. AI and Machine Learning involves large data sets and effciency of use, access speed and redundancy is key here. Why do we Need the Magnus Token.? Open, global, and permission-less access to the various actors. Bridging and going across different networks (and Blockchains ). Access — AI Agents can work with Human actors , leverage distributed file systems and collaborate with other Actors for unprecedented access. Efficiency — Actors can form Sub-Collectives which can lead to substantial increases in efficiency . Transparency — The combination of AI tools will result in emergent intelligence and capabilities that no other platform can provide in a transparent manner to all actors . Collaboration — Information can be processed materially faster than the competition by actors working together for a common objective . Innovation — All the actors can innovate within the collective as the Collective incentives innovation. The unsold tokens will be burnt after the ICO.